University Village is one of Chicago’s newest developed neighborhoods located on the Near West Side. 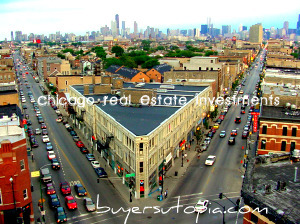 With the proximity to the UIC campus, Rush Hospital, Taylor Street, Pilsen and the Loop; University Village has become a great place to live. The neighborhood continues to grow with new development abound. The completion of the renovated Maxwell Street has brought new restaurants and bars to the area.